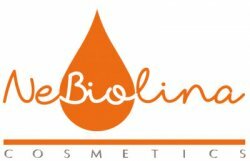 NeBiolina is the new cosmetic line that defines an advanced synthesis between the great pleasure of use and the absolute safety of ingredients. Among them, the organic oat extract with its precious dermo-cosmetic natural principles (beta-glucan, avenanthramides). This range of products is studied to serve from childhood, when delicate and safe ingredients are mostly needed, to adulthood, where is possible to satisfy the same needs of a sensitive product, with the same attention. With Oat kernel extract from certified organic farming. Dermatologically tested on sensitive skins. Without soap, parabens, phenoxyethanol, alcohol, SLS, SLES, PEG, silicone, paraffin and colourants. Tested for the content of Nickel, Chromium and Cobalt (<0,4 ppm). 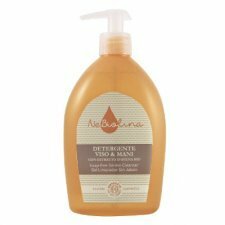 Mild cleanser ideal for respect for the balance of baby's skin and for its hygiene composed from a base of organic olive oil and enriched with proteins and extracts of rice grain organic oats. Toothpaste for a gentle cleaning of baby's teeth and gums. Thanks to the food-grade ingredients, it is completely innocuous upon unintentional ingestion when using it. Use: spread it in small quantities on the toothbrush. Gently brush teeth and gums under the guidance of an adult and then rinse. NOT contains sugar, saccharin, fluoride, dyes and preservatives. 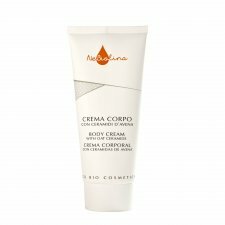 The cream is formulated to meet the special nutritional requirements and water balance that characterize baby skin. The presence of the organic extract Oats grain ensures a soothing effect that helps to prevent skin redness. 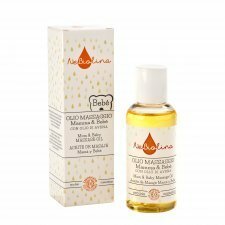 The unique properties of Oat Oil gently protect baby's skin. They preserve the wellbeing of the mom's skin with an effective emollient and moisturizing action. At any age they help restoring the correct hydrolipidic balance of the skin with respect to environmental or endogenous factors. With Oat Oil rich in vitamin E, omega-3, omega-6 and components that are identical to those naturally present in the skin. Dermatologically tested on sensitive skins. Multi-purpose balm rich in organic nutrients. The oat components, with a high protein content, produces their moisturising and antistatic properties, which give your hair parabenes, phenoxyethanol and silicones. Use: distribute by extending it on its all length on wet hair. Leave it to act for 2 minutes, then rinse. Protective cream for diaper changing organic oats due to the properties of this ingredient protects and soothes delicate and sensitive intimate parts of the child also performing an anti-inflammatory.  Soap-free formula, made from a plant derived cleanser ordigine dall'Olio organic Oliva. It also contains Wheat protein and organic extract of Oat grain with its known properties dermo-nutritive. The product is indicated for daily cleansing of all skin types, including the most sensitive and delicate.